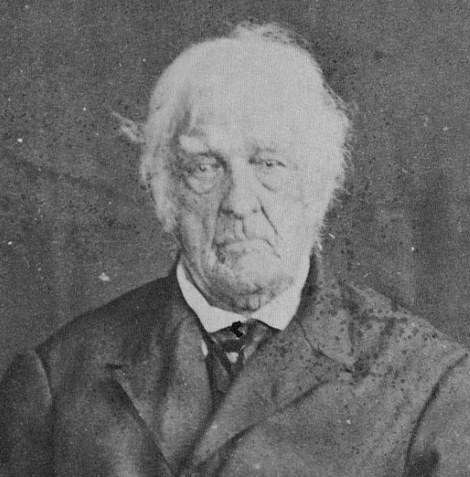 Benjamin Pierce, a war hero and father of future president Franklin Pierce, threw a Christmas dinner for 21 Revolutionary War veterans in 1824. Ammi Andrews of Ipswich, Mass., was the oldest guest at 89; the youngest was Nathaniel Johnson at 59. Pierce himself had just turned 67. Born Dec. 25, 1757, he was plowing a field on his uncle’s farm in Chelmsford, Mass., when he heard about the Battles of Lexington and Concord. Pierce, 18, immediately enlisted. He fought at Bunker Hill and stood on Dorchester Heights to watch the British evacuate Boston. At the Battle of Saratoga, he earned a promotion for bravery. After the war he moved to Hillsborough, N.H., where he prospered. 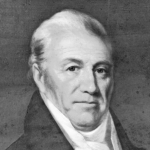 In 1827, the people of New Hampshire elected him governor. The visit of the Marquis de Lafayette to the United States on the country’s 50th anniversary inspired Pierce to hold the dinner for Revolutionary War veterans. He hosted it at the large tavern he owned, an ideal venue for eating, drinking and telling old war stories. 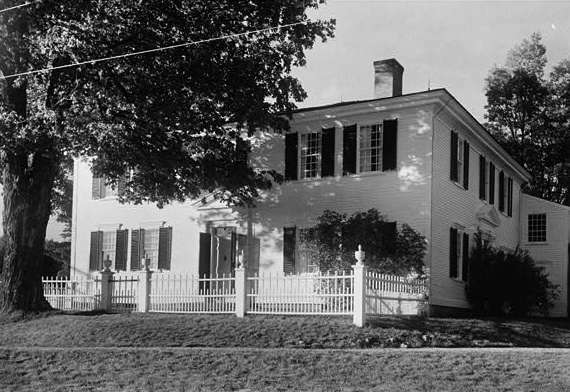 The Franklin Pierce Homestead, where the revolutionary war veterans dined. Photo courtesy Library of Congress. The old soldiers gathered at 11 a.m., and Pierce gave them an emotional welcome. They then elected Ammi Andrews and 83-year-old John McColley president and vice president of the day. The Rev. John Lawton offered a prayer, and the veterans launched into their reminiscences. Ammi Andrews told a story about capturing a British sentinel during Benedict Arnold’s expedition to Quebec. At 1:30, they moved into the dining room and ate dinner while offering 13 toasts, one for each of the original states. The first nine toasts honored Washington, the war heroes and hard-won battles. The last four called for patriotism, liberty and the preservation of the union of the states. Twelve more toasts followed, praising the U.S. victory in the War of 1812, the Marquis de Lafayette and the Greeks fighting for liberty. His earnest patriotism was shown on the occasion of his inviting nineteen of his old Revolutionary compatriots (all residents of Hillsborough), to dinner on one of the anniversaries of a Continental triumph. This happened but a few years previous to his death. One of the veterans remarked the absence of one of their number who lived in the town, and mentioned the fact to the Governor, who said, "I invite no one to my table who is afraid of the smell of gunpowder." 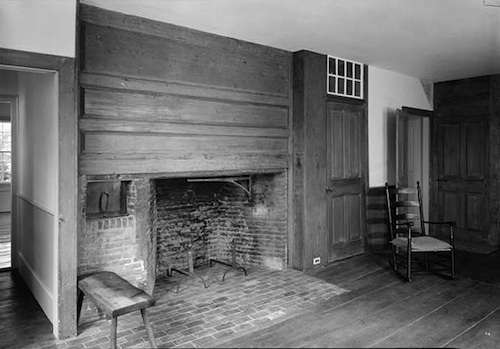 The dining room where the Revolutionary War veterans dined. Photo courtesy Library of Congress. Some Revolutionary War veterans lived long enough to have their photos taken. 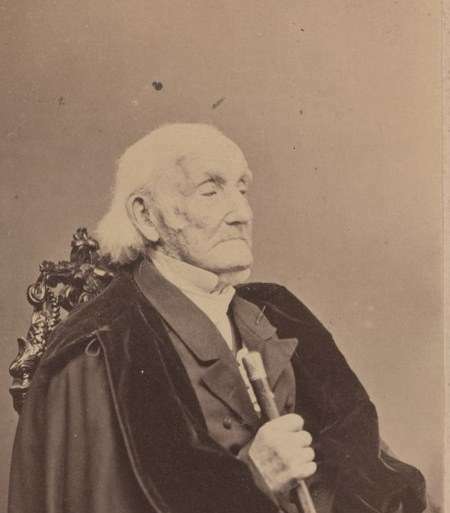 In 1864, the Rev. E.B. Hillard took on the mission of recording their memories and their images before they died. 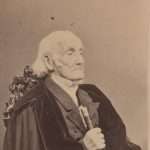 Samuel Downing of Newburyport, Mass., 102, served under Benedict Arnold at the Battle of Saratoga. He remembered Arnold as a bloody fellow, as brave a man as ever lived, stern, but kind to his men. "They didn't treat him right," Downing remembered. "But he ought to have been true." The Rev. Daniel Waldo, born in Windham, Conn. The army drafted him at 16 and a year later the British took him prisoner. At the age of 94, the U.S. House of Representatives appointed him chaplain. At 101, he advised people to eat little and control the temper. Lemuel Cook, 105, of Northbury, Conn., fought at the Battle of Brandywine and the siege of Yorktown. There they had little to eat, but plenty of flies. He remembered Washington ordering them not to laugh at the British because it was bad enough to surrender without being insulted. 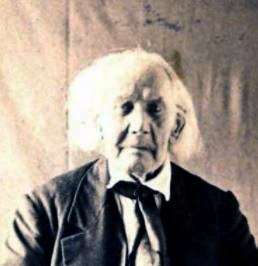 William Hutchings, 102, of York, Maine, enlisted at the age of 15. The British took him prisoner at Castine during the Penobscot Expedition, but released him because of his young age. This story about the Revolutionary War veterans Christmas dinner was updated in 2018. Thank you for that article! I am the 5th great granddaughter of Benjamin Pierce. 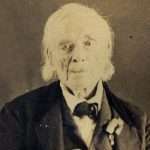 His first born son, Benjamin Kendrick Pierce was my 4th great grandfather. How cool is that? Glad you liked it!